Baseball U is considered one of the top travel baseball organizations in the country. As of Oct 10th, 2018 Baseball U has had 119 Major League Baseball draft picks. In the past 7 MLB Drafts (2018-2012) the organization has had 9 First Round players selected alone. Over 600 players have been offered opportunities to play college baseball since the first graduation class of 2007. In the summer of 2018 Baseball U was crowned the Perfect Game Mid Atlantic 17U Champions as well as the Perfect Game WWBA Northeast Champions earning the right to claim the title of the area's #1 Travel Team. We are a tournament only team meaning that we do not play in leagues but only compete in tournaments. In 2019 Baseball U will be attending WWBA National Championships in Georgia as well as showcase camps at various colleges, several events at Diamond Nation as well as an invite only showcase tournament at UVA as well as our Annual Kickoff Classic that is worked by college coaches on the field themselves. Each player that plays for Baseball U will have their own SportsRecruits profile page where they can email any college coach in the country and pass on their videos and information for colleges to have access to. It is an amazing feature that we have teamed up with and it has been a huge addition to the program. Baseball U has attended the largest baseball recruiting event 12 years in a row in the PG WWBA World Championships in Jupiter, Florida. Arrival Location and Details to be sent. Baseball U holds several tryouts each year for various seasons. Each tryout requires a registration form to be filled out for that tryout. When the registration for a particular group we will post this form on our site. Until then please fill out a "Prospective Player" form so you can also be notified of any tryouts as well as openings with the team. 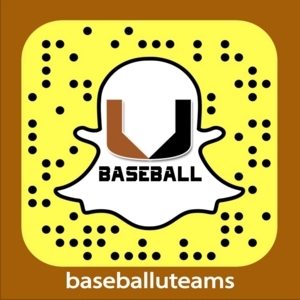 If you would like to send us videos or video links of the interested player please address all videos to JohnWells@BaseballU.net and fill out a Prospective Player Form HERE.